The new expansion for Fallout 4 entitled Far Harbor brings you new armor that are ideal for the living conditions on the island. The bonuses of the new armor in Fallout 4: Far Harbor helps you to master 20-25 hours of new adventures. 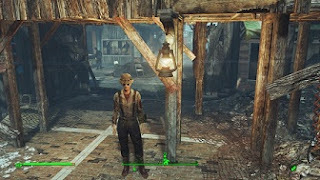 In our Guide we show you what new armor there at Far Harbor and where you will find them. The Marine wetsuit is a stylish black outfit with tactical helmet. You can buy them at the base of the children of the atom from the trader Kane. However, you can also get them for free by completing the main quest and solving VR puzzles. The Marine Wetsuit is then in a container with water. Watch the YouTube video to find out the exact location. This new armor in Fallout 4: Far Harbor can be found in three different variants. There is a legendary version. You will receive the new armor as a reward for completing various missions. Some can however buy. Watch the YouTube video to find out the exact location. With this wetsuit you can breathe underwater and it protects you against all additional radiation damage. To get it, you have completed the Quest series The Changing Tide. 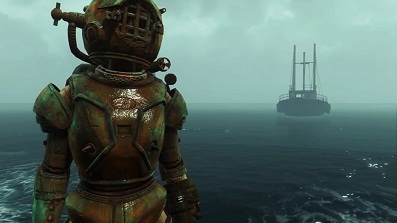 Here, you also have to complete many smaller side quests for the residents of Far Harbor to get the rescue diving suit as a reward at the end. This suit helps you to get to the other underwater treasures around the island. The Group of the children of the atom plays a greater role in the DLC and you can join them. You will receive the robe after you joined the Group. 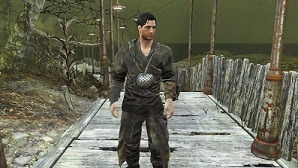 Complete the side quest The examination of brother Devin, to unlock the headgear for children's clothing of the atom. The majority of the population of Far Harbor consists of fishermen. And so you can meet the merchant Brooks in the city to buy some fishing outfits. These are available in different varieties and colors.